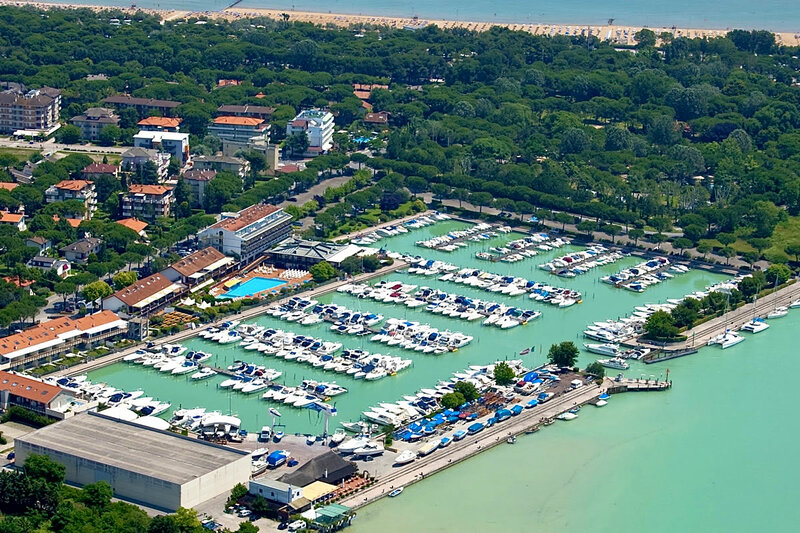 Lignano disposes of the most berths for sports boats on the Adriatic Coast: with its 5000 berths Lignano is one of the largest marina complexes in Italy and in Europe. 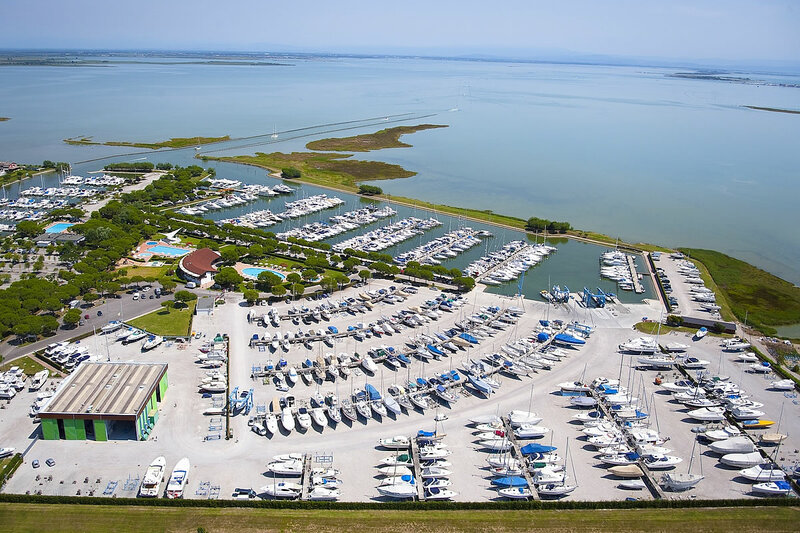 The various structures at Aprilia Marittima, and the tourist marinas Porto Vecchio, Marina Punta Faro, Marina Uno and Marina Punta Verde are strategically well situated at various points on the coast of the peninsula, in the lagoons and in the waters of the river Tagliamento. You can find the perfect berth for your sail boat and motor boat ranging from 6 to 30 meters in length. 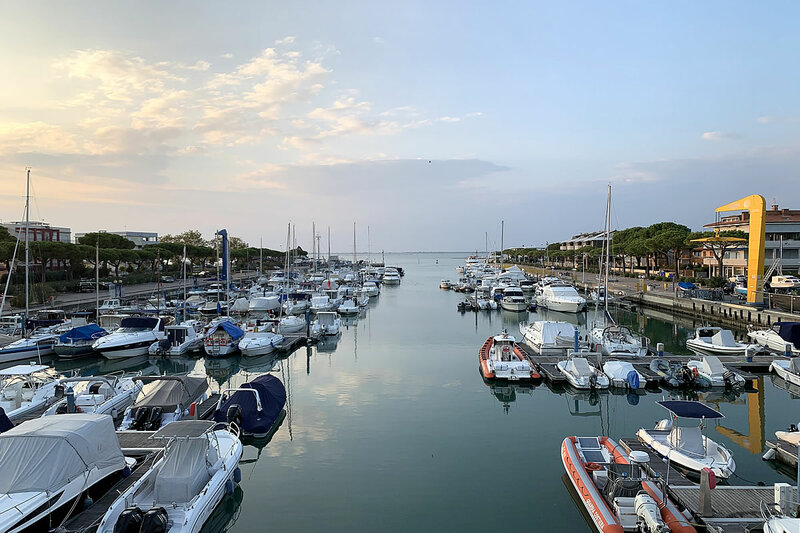 The Marina Punta Faro is situated on the edge of the peninsula and offers berths for more than 1,200 boats, 60 of which are reserved for travellers. You boat can measure up to 30 meters, complete assistance for mariners is offered, radio VHF channel 09, sandy grounds, water depth between 2 and 3 meters. The Marina Uno is situated on the eastern shore of the river Tagliamento and accessible through a canal, that's marked by poles. 420 boats measuring 20 meters in length at the most can be berthed here. Complete assistance for mariners is given, radio VHF 10, sandy ground, water depth from 2 to 3 meters. 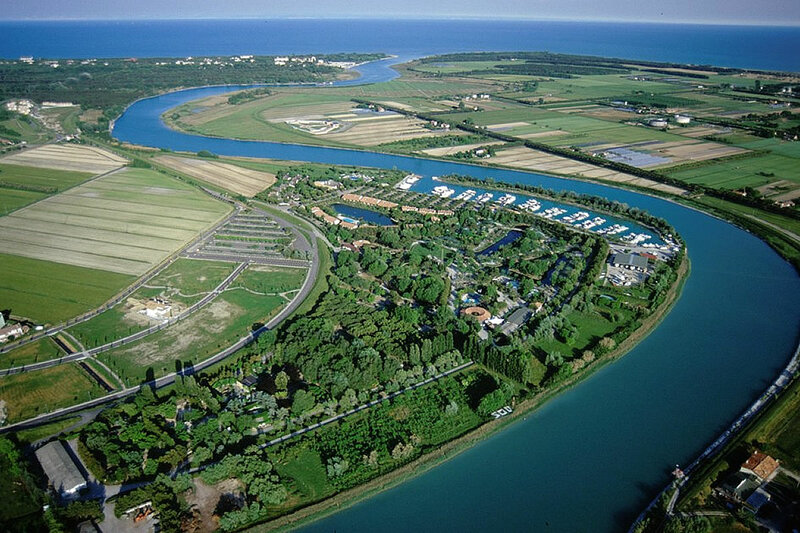 The Marina Punta Verde is situated about 1500 meters up the river Tagliamento on the east side of the peninsula. This artificially created marina is protected by dikes and accessed through the river Tagliamento. 270 berths for boats measuring up to 18 meters are available; complete assistance for mariners given, radio VHF 9/16 listening only, sandy, muddy ground, water depth 2 to 3 meters. To get to Marina Campo Nord you need to stay on the right hand side when entering the marina complex of Aprilia Marittima. 650 berths for boats measuring from 7 to 20 meters in lengths are available; complete assistance for mariners is given, radio VHF channel 09, muddy ground, water depth between 2,8 and 3,5 meters. The Marina Punta Gabbiani is located on the left hand side of the main canal. 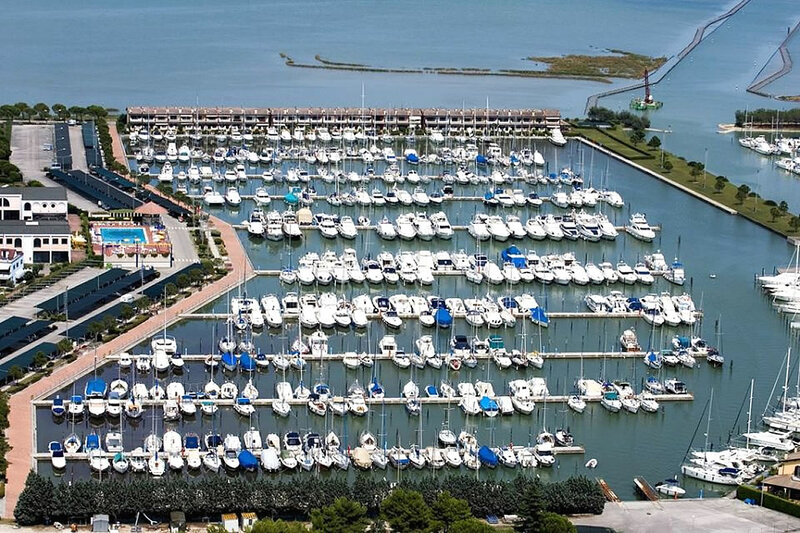 The marina is situated at the entrance of Aprilia Marittima and is accessible through a canal. 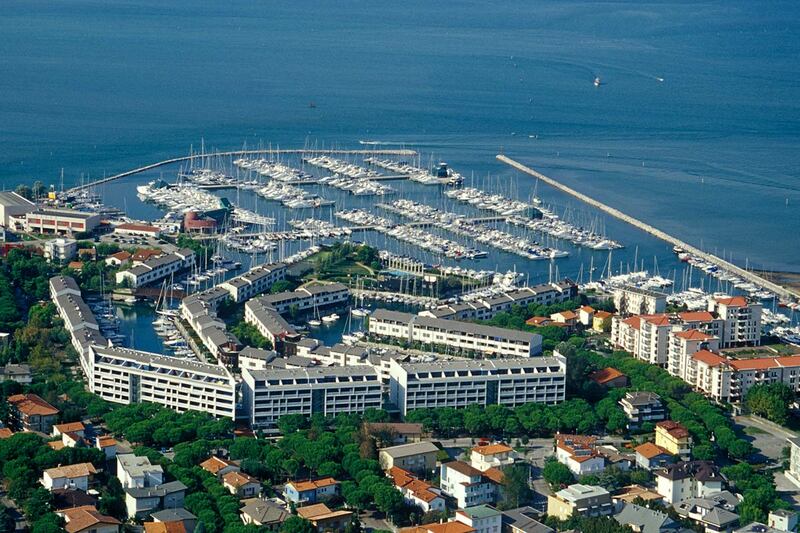 Aprilia Marittima is the central marina of this complex of marinas; it is accessed through the canal. 680 berths are available for boats measuring up to 20 meters; complete assistance for mariners is given, radio VHF 09/16, muddy ground, water depth between 2 and 3 meters.